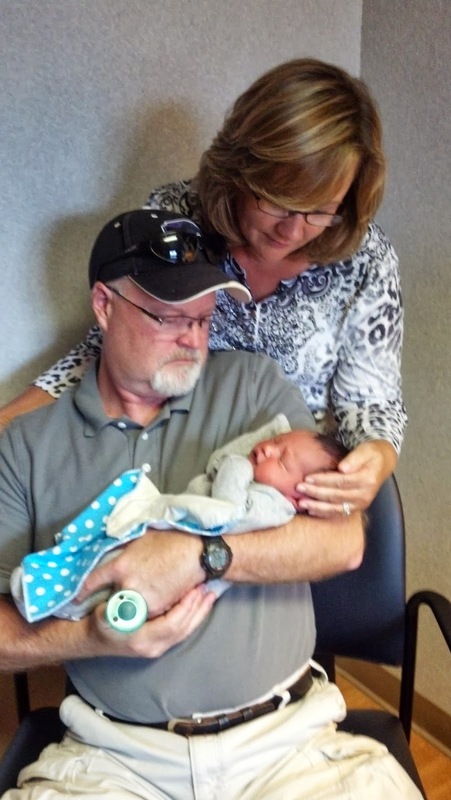 Pop and I had the privilege of going to the hospital to meet our fourteenth grandchild recently. 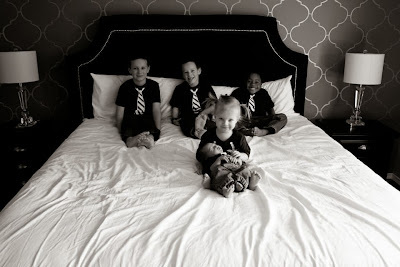 You would think that after thirteen grandchildren we wouldn't be nervous...but we were. You see, the mother of this precious baby is not our daughter. Hope had made a decision to give her baby a life she could not provide. She chose our daughter, Farm Chick and son-in-law, EJ to be the parents of her sweet little boy. So when Farm Chick called to say that papers had been signed and to ask if we were ready to meet our grandson, we were excited...but nervous. 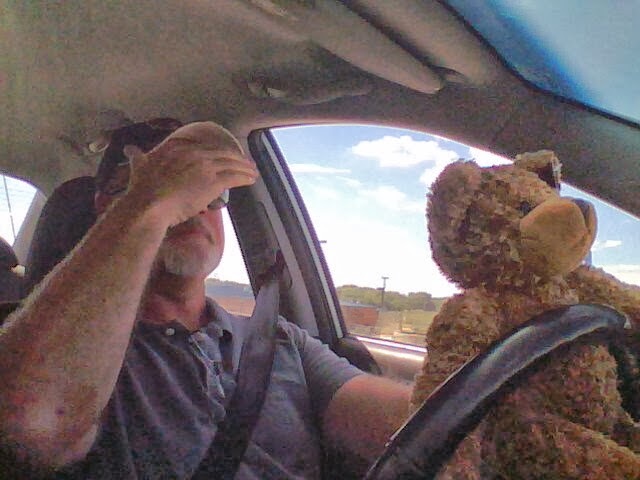 I tried to lighten the mood by joking about "Pop Bear" driving (with Pop covering his eyes) and texted pictures to EJ and Farm Chick to share the levity. We had already met Hope but when we saw her this time we would meet her family. It was becoming real. We talked as we drove and pondered what emotions we might expect. When we arrived, we spoke briefly with Farm Chick and EJ (and Pop's niece who just "happens" to work at that hospital); then we went to Hope's room. The room was dark and quiet...it was furnished with a queen size bed and our new little grandson was snuggled in with his birth mother and grandmother. They greeted us as Farm Chick introduced us to Hope's mother. I could hardly breathe. I was so happy and excited to meet our grandson, but so aware of the great pain Hope and her mother must be feeling. Hope handed her precious bundle to Pop and we fell in love all over again. We thanked Hope for this precious gift but words failed us. How can you possibly thank someone enough for carrying our grandson for nine months and enduring labor and birthing him? How can words be anywhere near adequate to tell her how grateful we are? We met more of Hope's family and they were very pleasant to us...very gracious. 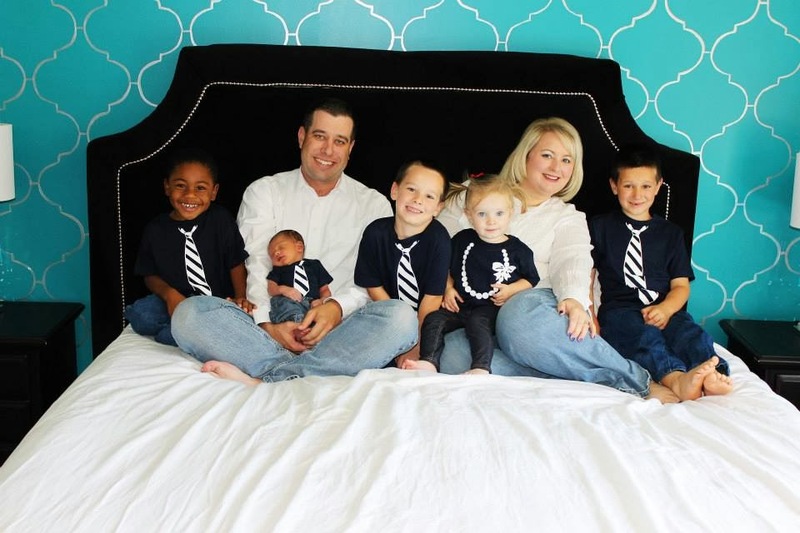 We will see Hope and her family again soon. I know they will be pleased at how this sweet baby boy is growing and how much he is loved by The Growing Table family and their extended family. I know that God planned it all and carefully orchestrated the whole thing. I have no doubt that He will lovingly provide Hope with what she needs to heal. Because EJ and Farm Chick have chosen to have an open adoption, Hope will not have to wonder how her baby is doing...she simply has to text or call to find assurance that he is where he belongs. His siblings just can't get enough of him and can't pass by him without kissing his sweet little face. I am struck once again of how much God loves His adopted children and I am grateful to be one. Thank You, Father, for illustrating Your great love in our lives.